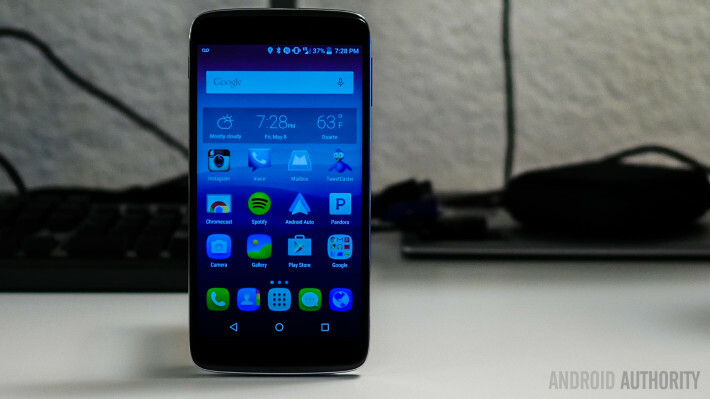 With its simple, elegant design, decent specifications, solid camera, and fantastic audio experience, the Alcatel OneTouch Idol 3 is one of the best budget-friendly smartphones out there. The competition in the mid-range Android space continues to heat up, with a slew of OEMs, some better known than others, having some fantastic devices on offer, with most coming with distinctive features to help differentiate themselves from the competition. One common thread among all of these solutions is their surprisingly affordable price tags, that unlike only a few years ago, is no more indicative of any shortcomings on the quality side of things. One such device, which is probably one of the best budget-friendly phones we’ve ever seen, is from Alcatel OneTouch, introduced back in February during MWC 2015. What does this smartphone have to offer? 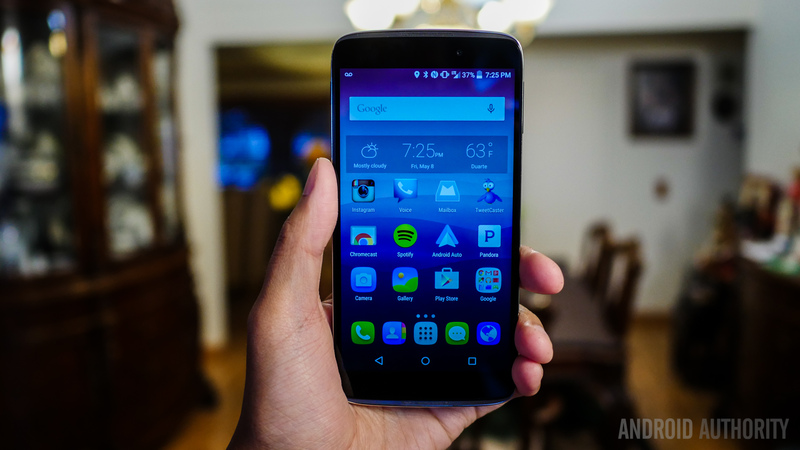 We find out, in this in-depth Alcatel OneTouch Idol 3 review! At the start it has to be mentioned that there are two variations of the Idol 3 available, one with a 4.7-inch display and the other featuring a 5.5-inch screen. The latter is also the more powerful of the two, with hardware and features that are generally better across the board, and what is focused on in this review. At first glance, it’s hard not to think about the Idol 3 as a large Nexus 4 because of its pebble design, complete with a subtle silver trim and the lack of buttons. One difference that arises is the presence of a dual front-facing speakers with the Idol 3 that are powered by JBL audio enhancements, found at edges above and below the display. The bezels on the sides of the display are also quite thin, so handling isn’t much of a problem despite its larger form factor. Another noticeable aspect of the design is the fact that this device is very symmetrical, and you will often find yourself picking it up upside down accidentally. Luckily, that doesn’t prove to be an issue, and rather, one of the features of this phone is the ability to use it in either orientation, with the screen flipping over for easy usage. Even better is the fact that calls can also be answered either way, with a microphone and speaker combo found on both ends. The volume rocker and power button are found on the right and left respectively, and are positioned a little too high to be within a comfortable reach, resulting in some hand gymnastics being required every time to get to them. Below the power button is a dual tray that houses both microSD and SIM cards. The headphone jack is up top, and the microUSB port is on the right side at the bottom. Heading over to the back is where you will see the hard plastic cover with a brushed metal finish reminiscent of the LG G3, allowing for a more premium look and feel than its price point would suggest. The branding on the back is simplistic as well, and towards the top left corner is the camera unit. As mentioned, the handling experience is just as expected, and not any easier or harder than it should be, helped by the fact that this is a relatively light device. The smaller iteration may be the ideal choice for some, but this variant makes for one of the easiest and more affordable entry points into the large display space. Ultimately, the simplicity of the Idol 3 does fit its price point, but all the subtle touches add a lot more value to an already accessible and attractive body. The Alcatel OneTouch Idol 3 features a 5.5-inch IPS LCD display with a 1080p resolution, resulting in a pixel density of 401 ppi. While we are certainly spoiled by the Quad HD Super AMOLED’s and Quantum Display’s of the world, the display of the Idol 3 is more than a capable performer, especially when considering the fact that not too many mid-range smartphones come with this resolution. Brightness and viewing angles are good as one would expect from an IPS panel, and while contrast can use a boost and colors are just a little bland, there are worse performers out there. Text looks just fine and watching videos and playing games make for an enjoyable experience, helped by the size of the display and the front-facing speakers. Overall, the display is certainly more than good enough for the regular user, with only the spec hungry being left feeling somewhat disappointed. Also worth mentioning is that the Idol 3 does come with a double tap to wake feature, which unfortunately doesn’t prove to be as reliable as we would have liked. Under the hood, the Alcatel OneTouch Idol 3 packs an octa-core Qualcomm Snapdragon 615 processor, clocked at 1.5 GHz, and backed by the Adreno 405 GPU and 2 GB of RAM. While this processing package is decidedly mid-range, the experience it provides doesn’t fall much behind the snappy and smooth performances we’ve seen with the high-end releases this year. The near-stock version of Android doesn’t get bogged down with a lot of additions from Alcatel OneTouch, with those that are included running as smoothly as everything else. Loading applications does take a little bit of time, and moving among applications via the Recent Apps screen isn’t the fastest experience, but is still very reliable. The same holds true with the gaming experience as well, with the device handling quite a lot, save for some of the more graphic-intensive games out there. Understandably, the Idol 3 is not going to match up to the standards set by the current crop of flagship Android smartphones, but things remain as smooth and reliable as hoped for, which is certainly great given how inexpensive this device is. Budget-friendly devices don’t usually shine in the hardware department, but the Idol 3 is an overachiever in this department. A full suite of connectivity options are available, including dual SIM support, and connecting to the T-Mobile 4G LTE network was quick and easy. Call quality was great, with the sound loud and clear, and as mentioned, you have the ability to answer a call and talk no matter which orientation you’re holding the phone in. One important disclaimer that appears in the Idol 3 though is that the orientation of the screen dictates which speaker and microphone combo is used, so as long as you’re not looking at the screen upside down when answering a call, it’ll work fine. Listening to music, watching videos, and playing games are a very enjoyable experience courtesy of the dual front-facing speakers, that bring with it loud, clear, and full bodied JBL enhanced audio. These speakers are quite close to rivaling the HTC BoomSound speakers, which is really an impressive feat. Internal storage is dictated by the whether you pick the single SIM or dual SIM version of the phone, with the former coming with 16 GB of built-in storage and the latter doubling that. Both versions do have microSD card support though, with the storage expandable up to 128 GB. Finally, when it comes to the battery, the Idol 3 packs a 2,910 mAh unit, that in my experience comfortably allowed for a full day of use with around 3 hours of screen-on time, before the power saving mode was activated with the battery life down to 15%. This device certainly provides enough juice to last an entire day, which is the least we can ask for from a device that is intended to be used as a daily driver. A Sony-made sensor powers this 13 MP camera, and is actually a pretty solid performer, with a nice 8 MP front facing unit to back it up. The front-facing camera brings some larger pictures to the selfie game, though it isn’t perfect by any means. Pictures have a noticeable grain to them and the angle isn’t as wide as some of the competition in the same market segment. It does work well enough for the occasional selfie, and 1080p video recording is available as well. The camera application is pretty simple, with just button elements placed on the sides of the viewfinder. Hitting the menu button brings up a number of modes, including even timelapse, which takes a bunch of photos for every second of what ends up being a video. HDR does a decent job of lightening up the subject if it is blown out, but otherwise its effect isn’t too strong. Pictures from the Idol 3 are actually quite good, with details captured quite well, and a slight amount of post processing working to smooth out the grain. While pictures manage to keep from being too bland, the colors can use a bit of punch most of the time, and very lit scenes might miss the mark in terms of contrast. Lower light shots get the typical amount of grain and loss of detail, but not to an extreme degree, and usable photos are definitely possible in darker situations. Overall, this isn’t a camera that underperforms, especially if you consider devices of the same price or even somewhat more expensive, and that is quite impressive. On the software front, the Idol 3 is running a mostly stock version of Android 5.0 Lollipop, with a few additions by Alcatel which manage to not be too overbearing. For example, icons are a bit more bubbly, almost to the extent that you would think there’s no app drawer, even if that’s not the case. Folders in the homescreen fold open, which is a nice animation, as is the twisting animation the phone makes when flipped over. There is also a Mix application that can take local audio files to use as two DJ tracks, so you can have quite a bit of fun with it and make some mashups. It is supposed to tap into streaming services, but for whatever reason, that was not available in my testing. Otherwise, the software experience has a lot of the Material Design elements of Lollipop, as can be seen in the notification drop down with quick settings, the Overview screen, and even in the animations when getting to and from applications. There really isn’t much keeping this phone from being a reliable performer, which is why the price of $250 is nothing short of incredible. Even comparing so-called budget releases from plenty of the top tier manufacturers, this can be considered one hell of a steal. 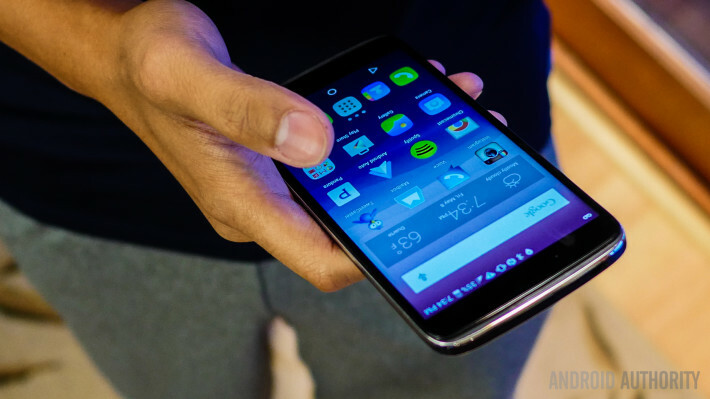 So, there you have it – a closer look at the Alcatel OneTouch Idol 3! We might be looking at one of the best affordable devices this year. With plenty of mid-range to lower-end devices coming out all the time, it’s great to see Alcaltel remaining unique from the rest, without the need for any crazy features or gimmicks. A larger screen with dual front facing speakers, JBL enhancements, a solid camera, and a spartan operating system in an attractive body make this one of the easiest entry points to Android available yet, as well as one of the easiest on the wallet.